You can have it all, just not at the same time. Become a master of block periodization and watch your strength and size feed into one another like never before! Some people want to get bigger. Others want to get stronger. But you, of course, want to get both bigger and stronger. So how do you do it? If you're like many lifters, you probably had an "aha" moment where you thought you'd finally "figured out" this question and solved the riddle of periodization once and for all. It's simplicity itself, right? Just work up to a few sets of heavy doubles or triples for a strength stimulus, and then perform 1-3 (or more) back-off sets with lighter weights and high reps for hypertrophy development. This approach seems logical on the surface, and sure, it may work initially—what doesn't? But pretty quickly, you no doubt found like many before you that it didn't play out. Your strength gains came to a screeching halt, and muscle gains weren't nearly as predictable as when you were training for hypertrophy alone. The solution to this quandary has been known for decades. It's called "block training" or linear periodization. Here's how you can use it to stop struggling and start growing. Any time you lift a weight, both strength and hypertrophy will be encouraged to a certain extent. But the degree to which each adaptation is stimulated is strongly influenced by how you arrange your training variables—things like volume and intensity—within a workout, week, or training phase. Done correctly, block periodization can create an ever-escalating spiral of adaptation, where each phase capitalizes on the gains made in the previous phase. In particular, getting stronger requires that your muscles experience greater tensions over time. In practice, this typically means gradually increasing load or intensity. On the other hand, stimulating hypertrophy also requires a certain minimal amount of intensity—probably 60 percent of 1RM or greater—but the key driver of new muscle growth seems to be volume, or the total amount of work you perform. The truth is that your body adapts most successfully when trying to overcome one intense demand at a time rather than multiple demands. This is because the loads you most commonly utilize when training for strength simply produce quite different responses than when training for size. It's a little like simultaneously training for a marathon and a powerlifting contest. Sure, you could survive both, but you likely won't do as well in either as you could if you focused on just one at a time. However, it's definitely true that hypertrophy helps to form the base for strength; force output is a product of how big your muscles are and your nervous system's ability to orchestrate those muscles. Think of it like a race car. The two most important factors are the car's horsepower and the driver's skill. Even if you had the world's most skillful driver, if you've only got 100 horses under the hood, you're not going to have a good race. Put another way, even if your sole interest is getting huge, you still need to train for strength to see maximum progress. Similarly, even if you're only interested in being strong, you've gotta train your muscles in addition to your nervous system. In block periodization, you prioritize one adaptation—strength or size—for a period of time before switching to another adaptation. When these phases are of the optimal duration and presented in the right order, the gains you make on one phase can help spur or "potentiate" the gains made in the next. Done correctly, this can create an ever-escalating spiral of adaptation, where each phase capitalizes on the gains made in the previous phase. But the "done correctly" part is the catch. These five rules will get you pointed in the right direction. One common misconception you may have about the sequential approach is that you'll lose most of your newly gained muscle due to not training with higher reps during the strength phase. This fear can lead you to sneak in some extra bodybuilding-style work on the side—a few dropsets here, some "detail work" there—and before you know it, your recovery capabilities are maxed and you're not getting stronger. Don't freak out! Even though the volumes typically used for strength training are significantly lower than those used for dedicated hypertrophy training, they're still high enough to preserve your existing levels of muscle. This is especially the case if you use techniques such as strength-focused pyramid sets or post-activation potentiation (PAP). Even though the volumes typically used for strength training are significantly lower than those used for dedicated hypertrophy training, they're still high enough to preserve your existing levels of muscle. All of the reps performed with challenging weights are within acceptable guidelines for strength adaptation, but the volume is definitely adequate to hold on to muscle. Lift heavy with no fear! The first question that always comes up with phase-based training is, "How long should each phase be?" Of course, you can simply trust your program to answer that for you. But you can also let your body tell you when it's time to switch things up. When you first start a hypertrophy cycle—particularly if you haven't trained that way for a while or are using unfamiliar exercises—you'll be sore as hell for the first few workouts. Or just as likely, it'll be for the first few weeks. That's your body going into an "alarm" phase as it reacts to what it perceives as a threat to its desire to stay in homeostasis. When you first start a hypertrophy cycle—particularly if you haven't trained that way for a while or are using unfamiliar exercises—you'll be sore as hell for the first few workouts. Or just as likely, it'll be for the first few weeks. Soon enough, however, you'll find yourself limping less and recovering more quickly. At the point where you're no longer sore after working hard, you've likely become desensitized to your current stimulus, and are no longer making as significant gains from your hypertrophy training as you were initially. When this happens—typically between 4-8 weeks—it's time to switch phases and start training for strength. During your strength phase, you'll be performing 4-6 working sets of 3-5 reps per set, and trying to add weight to the bar every workout in a more or less linear model. When this is no longer possible despite your best efforts, your current strength phase has likely run its course. Hitting your head against your strength ceiling repeatedly won't help. It's time to return to hypertrophy training. And when you do return to that hypertrophy phase, you'll likely find you can use more weight for your normal sets and reps, thanks to the strength-training phase you just completed. That means more muscle, which will translate into even greater strength during the following strength phase. During your strength phase, you'll be performing 4-6 working sets of 3-5 reps per set, and trying to add weight to the bar every workout in a more or less linear model. That said, resist the urge to go balls out on the first week of a new phase. Don't start with your previous 1RM or 3RM in the deadlift and expect to add 30 pounds like magic. Start conservatively, and leave room to grow. It's not necessary for dedicated bodybuilders to train for strength and hypertrophy in a 1:1 ratio. If size really is your primary goal, you can perform twice or even three times as much hypertrophy work as strength work and still receive strength benefits. To do this, train a set of exercises using hypertrophy parameters until you no longer experience soreness after working hard. At this point, change your exercise menu, and resume training like you were. Change whatever you can: Perform a different squat variation, use new implements on your presses or pulls, or even switch up your split entirely. The change in exercises should be sufficient to stimulate additional adaptation, at least for a while. Then follow this with a strength-training phase and repeat. It's worth noting here that being super strong or super big isn't a reason to skip a particular phase, though. Alternating phases can still do wonders for your recovery and restimulation. This might seem to go without saying, but some people insist on learning it the hard way. 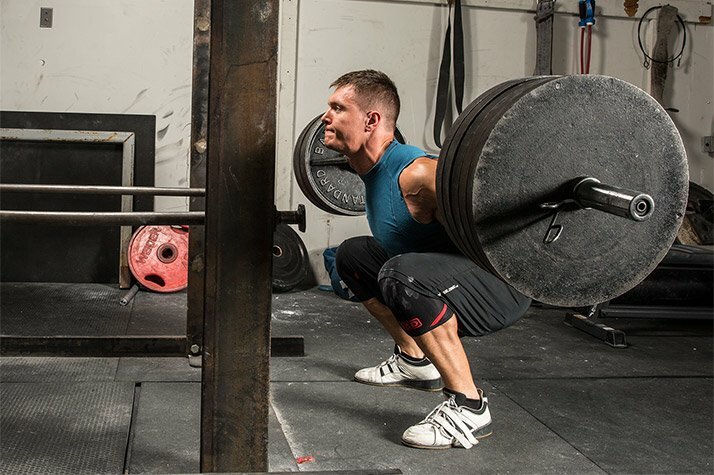 Sure, there are some movements, like back squats, that are great for both hypertrophy training and strength training. Then there are others that definitely aren't. 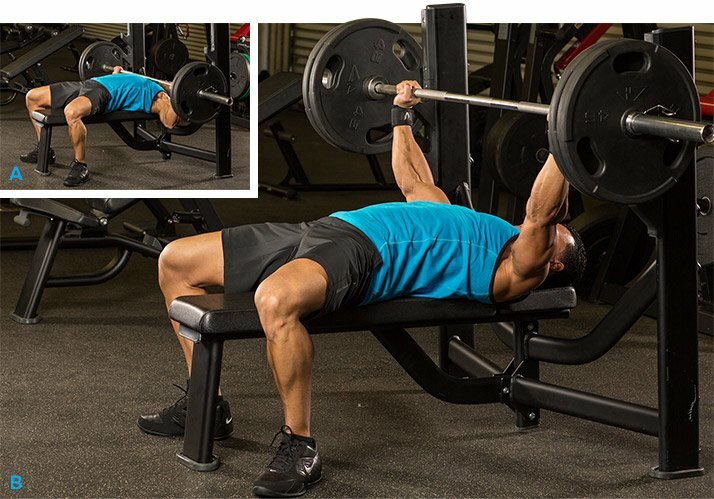 Dumbbell flyes aren't appropriate for heavy sets of 3. Your elbows will let you know why. Similarly, front squats and power cleans generally don't lend themselves well to sets of 12. For example, dumbbell flyes aren't appropriate for heavy sets of 3. Your elbows will let you know why. Similarly, front squats and power cleans generally don't lend themselves well to sets of 12. Use common sense and solid planning, and block training will help your work be more productive—and more interesting—than ever before. Put in the work and make this secret of the athletic elite work for you! For more detailed information on the principles and practices discussed in this article, I highly recommend Juggernaut Training Systems' ebook Scientific Principles of Strength Training.